Four leaf clover wall hangings are offered with various finishes that include brass and silver along with gold and copper. These four leaf clover wall hangings make splendid house warming gifts; they will bring cheer, and ideally luck, to the surroundings. The four leaf clover plaques, at The Irish Gift House, are ready to hang with the included hook and they all feature an engraved Irish blessing on the rear side. 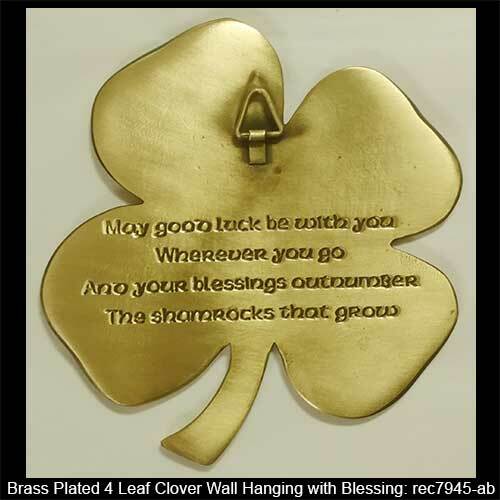 Four leaf clover wall hanging is a gold plated plaque with a blessing on the back. 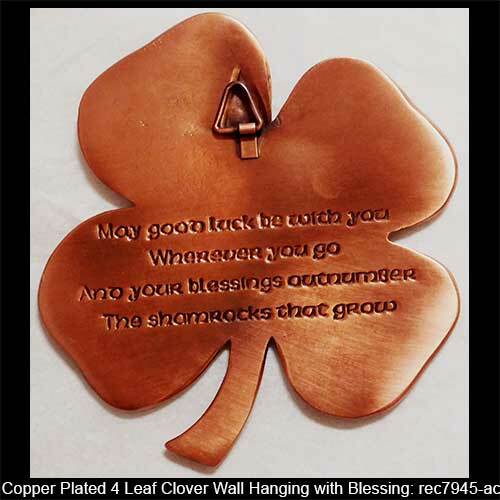 Four leaf clover wall hanging is a copper plated plaque with a blessing on the back. Take a look at our shamrock gifts page to see the Irish wall hangings with three leaves. 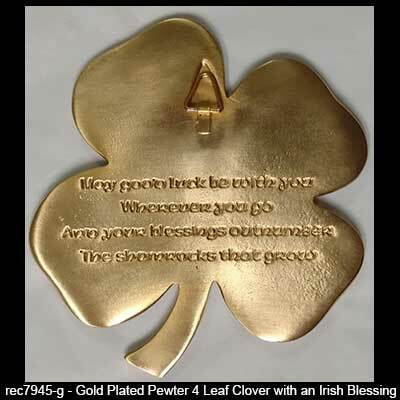 The Irish Gift House has additional four leaf clover gifts that are scattered among selected categories that include the shamrock ties and Irish t-shirts along with the Irish charms and Celtic beads. 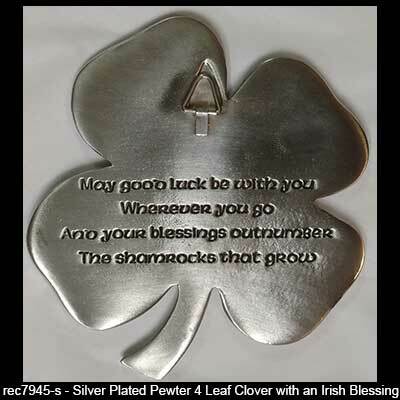 Look for additional clover gifts with our shamrock necklaces and also take a look at the Irish Christmas ornaments. You may also enter the word clover into the search bar that is located in the top right corner of the page to find all the related selections on our site.